What makes an excellent professional development resource? It’s the research base – connecting your practice to current educational findings. It’s organization and readability – making it easy for you to locate and understand the information. It’s a resource that becomes richer with each subsequent reading. It’s something you can turn to again and again for ideas, insight, and inspiration. In this column, we’ve highlighted a few exemplary resources for teachers. Instead of creating a new column each month, we’ll update this column as we discover new titles in General Instruction, Science Instruction, Literacy Instruction, and the Polar Regions. Rather than create an exhaustive list, our goal is provide the best resources for your professional development. We’ve included links to Beyond Penguins articles that reference each title. 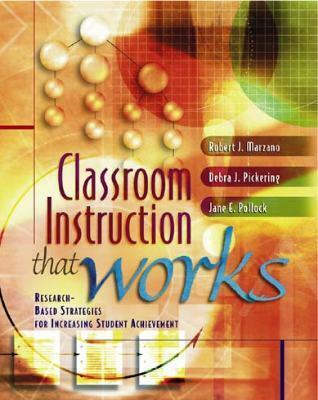 Classroom Instruction That Works: Research-Based Strategies for Increasing Student Achievement. Robert Marzano, Debra Pickering, and Jane Pollock. 2001. Association for Supervision and Curriculum Development. How can teachers capitalize on education research? Which instructional strategies have been proven to increase student achievement? In this book, the authors examine and summarize decades of research findings and distill the results into nine broad teaching strategies. Classroom examples, rubrics, organizers, and charts help teachers plan and implement the strategies into their own practice. 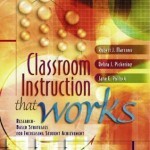 View the table of contents, read a sample chapter, or purchase this book from the ASCD web site. 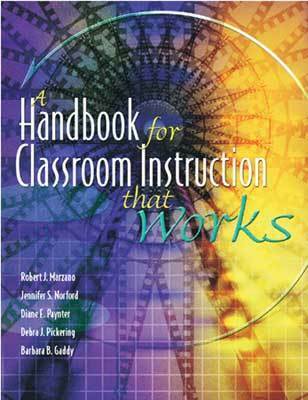 A Handbook for Classroom Instruction That Works. Robert Marzano, Jennifer Norford, Diane Paynter, Debra Pickering, and Barbara Gaddy. 2001. Association for Supervision and Curriculum Development. A companion to Classroom Instruction That Works, this handbook provides a review of the research base and strategies along with exercises, rubrics, and worksheets that help you begin using the nine strategies immediately. Uncovering Student Ideas in Science: 25 Formative Assessment Probes. Volume 1. Page Keeley, Francis Eberle, and Lynn Farrin. 2005. NSTA Press. What ideas (preconceptions) do your students bring to science class? Effective science instruction involves formative assessment – taking time to assess and reflect on what your students think they know about science. This book includes a comprehensive chapter on formative assessment and 25 ready-made probes that elicit student ideas on 44 core science topics. 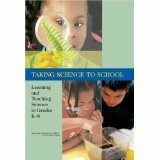 Read a sample chapter or purchase this book from the NSTA web site. Uncovering Student Ideas in Science: 25 More Formative Assessment Probes. Volume 2. Page Keeley, Francis Eberle, and Joyce Tugel. 2007. NSTA Press. The sequel to the first volume of Uncovering Student Ideas contains 25 new probes including more life science and Earth and space science probes. It also suggests ways to embed the probes throughout instruction, not just at the start of a unit. Uncovering Student Ideas in Science: Another 25 Formative Assessment Probes. Volume 3. Page Keeley, Francis Eberle, and Chad Dorsey. 2008. NSTA Press. The third volume of Uncovering Student Ideas contains an additional 25 assessment probes. Uncovering Student Ideas in Science: 25 New Formative Assessment Probes. Volume 4. Page Keeley and Joyce Tugel. 2009. NSTA Press. Science Formative Assessment: 75 Practical Strategies for Linking Assessment, Instruction, and Learning. Page Keeley. 2008. Corwin and NSTA Presses. Interested in using formative assessment techniques in your classroom? This book contains 75 specific assessment techniques that can be used in grades K-12. 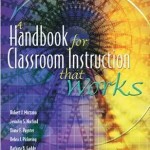 The book includes descriptions of how each technique promotes student learning, considerations for design and implementation (required materials, timing, modeling, and grouping students), modifications and caveats, and ways the technique can be used in other content areas. Purchase this book from the NSTA web site. 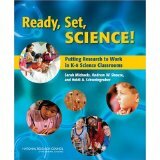 Taking Science to School: Learning and Teaching Science in Grades K-8. National Research Council. 2001. National Academies Press. When do children begin to learn about science? How can science education capitalize on children’s natural curiosity? How can teachers be taught to teach science? A companion guide, Ready, Set, Science!, provides clear examples of the research in action. Read the text online or purchase a copy at the National Academies Press web site. Ready, Set, Science! Putting Research to Work in K-8 Science Classrooms. National Research Council. 2001. National Academies Press. A companion to Taking Science to School, this book reviews principles from educational research about K-8 science and applies them to effective teaching practice. It includes case studies to illustrate how current research can be applied to diverse classroom settings. 6+1 Traits of Writing: The Complete Guide for the Primary Grades. Ruth Culham. 2005. Scholastic. This book provides scoring guides, sample papers, and focus lessons for each trait, and is framed to address K-2 teachers’ needs. View the table of contents and sample pages, read reviews, or purchase this book from the Scholastic web site. 6+1 Traits of Writing: The Complete Guide: Grades 3 & Up: Everything You Need to Teach and Assess Student Writing with This Powerful Model. Ruth Culham. Scholastic. This book provides an introduction to each trait and includes scoring guides, focus lessons, and activities for teaching each trait. 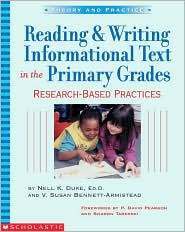 Reading and Writing Informational Text in the Primary Grades: Research-Based Practices.Nell Duke, V. Susan Bennett-Armistead. Scholastic. 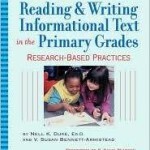 This professional book summarizes research and provides strategies for effectively integrating informational text into the primary grades. The book may also be useful for teachers in upper elementary looking to include more informational text in their curriculum. Find informational text to use for students in grades K-5 in our Stories for Students column. Purchase this book from the Scholastic web site. 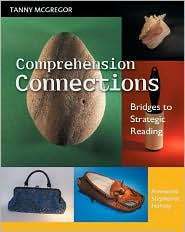 Comprehension Connections: Bridges to Strategic Reading.Tanny McGregor, Stephanie Harvey. Heinemann. 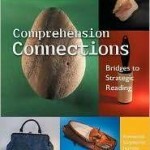 This book provides creative, concrete experiences to help students master reading comprehension strategies. Find information about teaching reading strategies in our Literacy Content Knowledge column. View the table of contents, read a chapter, access archived webinars, or purchase the book from the Heinemann web site. 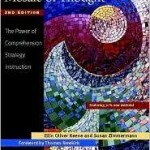 Mosaic of Thought: The Power of Comprehension Strategy Instruction. Ellin Oliver Keene, Susan Zimmermann. Heinemann. 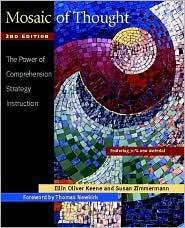 This professional book provides research-based information about reading comprehension strategies and comprehension strategy instruction. Find information about teaching reading strategies in our Literacy Content Knowledge column. Read a sample chapter, learn about an online course, or purchase the book from the Heinemann web site. 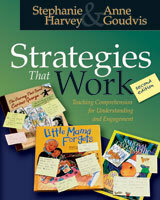 Strategies That Work: Teaching Comprehension for Understanding and Engagement.Stephanie Harvey, Anne Goudvis. Stenhouse. 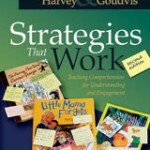 The second edition of Strategies That Workprovides information about comprehension and teaching reading strategies, lessons and practices for teaching comprehension, and a section dedicated to content-area reading. The book also includes recommended fiction and nonfiction reading for students. Find information about teaching reading strategies in our Literacy Content Knowledge column. View the table of contents, read a sample chapter, or purchase the book from the Stenhouse web site. 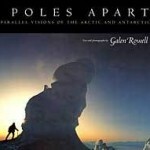 Poles Apart: Parallel Visions of the Arctic and Antarctic. Galen Rowell. 1995. Mountain Light Press. While we may think of the polar regions as similar, they are in fact quite different. Galen Rowell uses text and photographs to identify similarities and differences between the two. In Part One, Rowell uses side-by-side photographs to highlight contrasts between the North and South. Part Two’s photo essays provide a deeper look at a variety of topics such as “Science in the Arctic” and “Science in the Antarctic.” Finally, Part Three provides detailed information about the images in parts one and two. Purchase this book from the Mountain Light web site. This article was written by Jessica Fries-Gaither. For more information, see the Contributors page. Email Jessica at beyondpenguins@msteacher.org. Copyright April 2010 – The Ohio State University. This material is based upon work supported by the National Science Foundation under Grant No. 0733024. Any opinions, findings, and conclusions or recommendations expressed in this material are those of the author(s) and do not necessarily reflect the views of the National Science Foundation. This work is licensed under an Attribution-ShareAlike 3.0 Unported Creative Commons license.